we will go to the audience. Since 1989, Dandelion Productions, Inc. (a 501c3) has brought both social-issue, educational theater and free-to-the-public, professional live theatre to Connecticut’s communities. In 2018, Dandelion Production started a brand new program, BRIDGE, a mobile theater unit that will travel to community centers, senior centers, libraries, hospitals, correctional facilities, and homeless shelters to offer condensed versions of plays to explore educational themes in an applied theater framework. Our goal is to ensure that no person, regardless of age, ability, identity, or economic status, should be denied the opportunity to "play" with our ensemble of Dandelion performers. 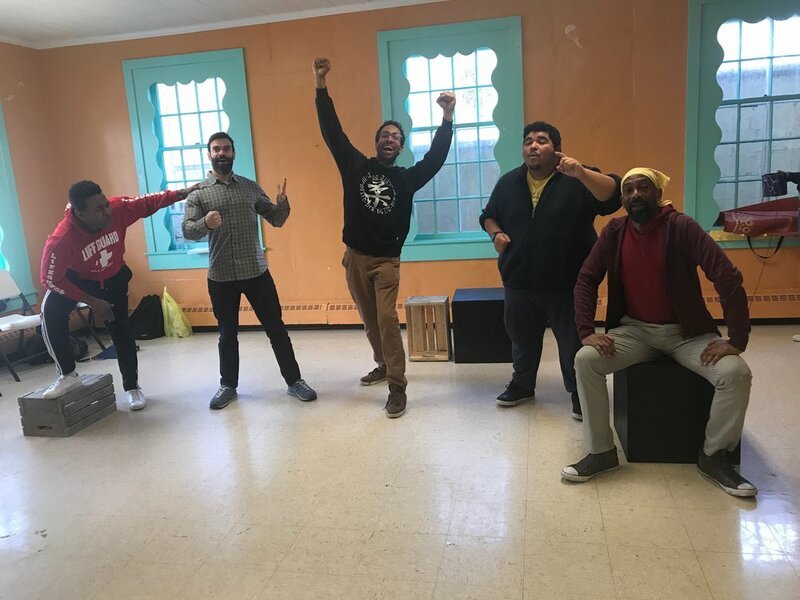 APPLIED THEATER is defined as theater practice creating positive social and/or personal change, produced in non-traditional settings with participants from diverse and/or marginalized communities. Photos of the BRIDGE company in performance and rehearsal, including a BRIDGE weekend planning retreat with Channie Waites, Ellen Lieberman, and Ian Eaton. With Dandelion's same eye toward quality in performance and professionalism, we engage highly skilled actors to perform these shows in an intimate setting, with minimal tech and a more engaged, boundary-less approach. Performances are followed by a Q&A and space for personal reflection, as well as subsequent workshops in the weeks to come with the community members to continue the conversation. Our sites include Harding High School, York Women’s Prison in Niantic, permanent supportive housing projects in Bridgeport, Bridgeport youth centers, and the Jewish Home for the Elderly. Thank you to our generous BRIDGE SUPPORTERS including Bernard L. Manger Foundation, Norma Terris Albert Firestone Foundation, Jana Foundation, Avram & Rhoda Freedberg Family Foundation, RBC Foundation, and the Bert Garskof Memorial Fund.